We all know and love the classic Ethereum (ETH). 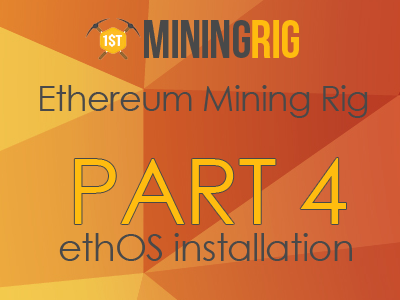 It proved to be quite effective on the most popular mining PC setups. Nevertheless, many believe that the good old ETH era ended with the launching of the Zcash (ZEC). While the Zcash became some sort of gold rush, is it really more profitable than Ethereum? Modern market is all about offer and demand. Not long ago, the Zcash (ZEC) was really rare, which, combined with the high demand on that crypto currency, made it really expensive. For a short period of time, it was one of the most sought-after crypto currencies. Those who owned Zcash would often resell it for a huge profit. That made many people switch from Ethereum to Zcash. ETH mining became the least choice for some time, but eventually the situation is changing now. Starting from October 28th, the rewards for Zcash mining are slowly raising, and will continue their way up until 1st December. This means that the Zcash is becoming way more accessible for everyone. And by that it also acquires a more stable and reasonable price. With all the scarce offer and low demand fuzz gone, we can see that Zcash is still profitable for GPU miners, but not for everyone. For instance, older 280X GPUs and AMD’s Radeon 79×0 are still more efficient with Zcash than with Ethereum mining. On the other hand, newer GPU models as the RX 480 give more profit with Ethereum. If your rig has those video cards, then you probably might want to switch back to ETH mining. In fact, according to statistics, Nvidia is generally less suited for Zcash mining than AMD. It is not yet confirmed whether Nvidia will make the effort to optimize their GPUs for Zcash mining. As for now, if you have Nvidia GPUs in your rig, you might want to switch to a different algorithm than Zcash. There is a tool that might help you to keep your rig mining for the most profitable coin. CryptoCompare offers a useful calculator for both Ethereum (ETH) and Zcash (ZEC). It also supports other coins such as Monero (XMR), Ethereum Classic (ETC), Litecoin (LTC) and DigitalCash (DASH). This calculator is easy to use, and you only should pay close attention to the hashrate you set for your GPU. Different GPUs have different hashrates for each of the algorithms, and it is crucial to set it as precisely as possible. The results of the comparison might be surprising. In fact, some miners report that they ended up rolling back to Ethereum Classic, since their GPU ended up giving more profit with Ethash than with anything else.